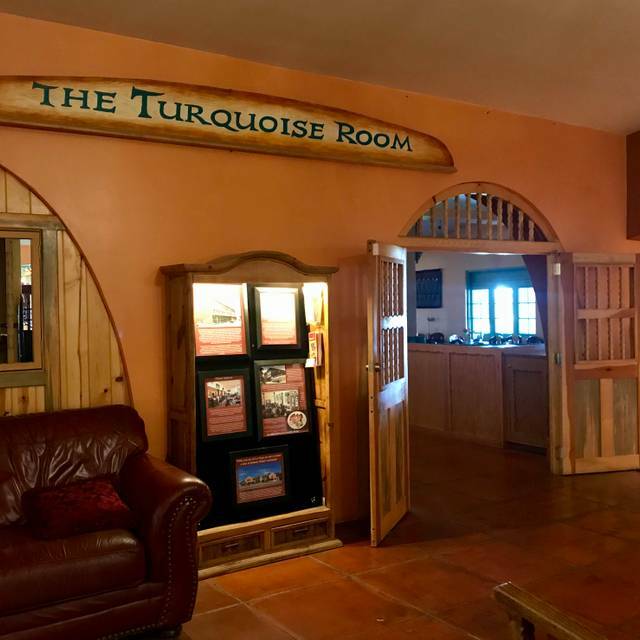 You must make reservations at least 5 minutes in advance of the time at The Turquoise Room. James Beard nominee Chef John Sharpe has really put a mark on the map for Winslow AZ restaurants. 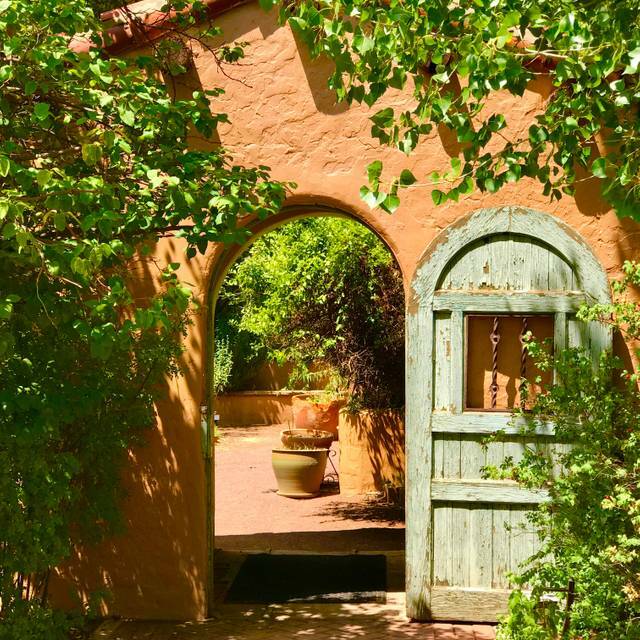 Located in the historic Fred Harvey Hotel- La Posada. Chef John has a spin on a unique southwest contemporary cuisine , while providing a mesmerizing interpretation of Arizona food. 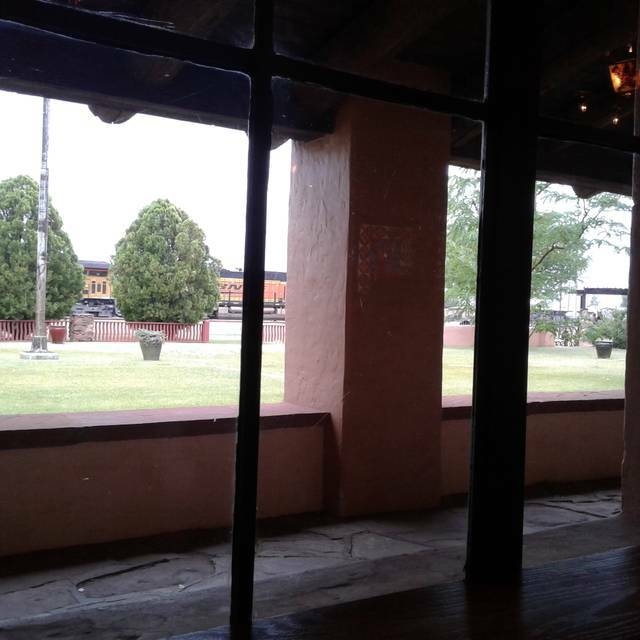 Discover a wonderful restaurant along side the Route 66 as you travel through Arizona. Two poached eggs, breakfast sausage, bacon, onions, bell peppers, potatoes topped with jalapeno jack and cheddar cheeses. Tomatoes on top as a garnish. The Harvey Girls Famous small and thin Orange Pancakes "Crepes"! Three thin crepes filled with cottage cheese and covered with a warm orange marmalade sauce. Sprinkled with roasted almond slivers. While these were called pancakes, I think they were actually closer to what we know today as crepes. One of my all time favorite dining establishments. Thank you, Chef John, for making every trip to La Posada and the Turquoise Room such a great experience. Stayed at LaPosada Hotel which was a delight, a lovely place with beautiful grounds and the Turquoise Room contained in the hotel. We had heard that the restaurant was excellent and after eating there, we agreed wholeheartedly. My salad was a beautiful presentation of organic greens with pomegranate dressing and shaved orange beets - delicious! 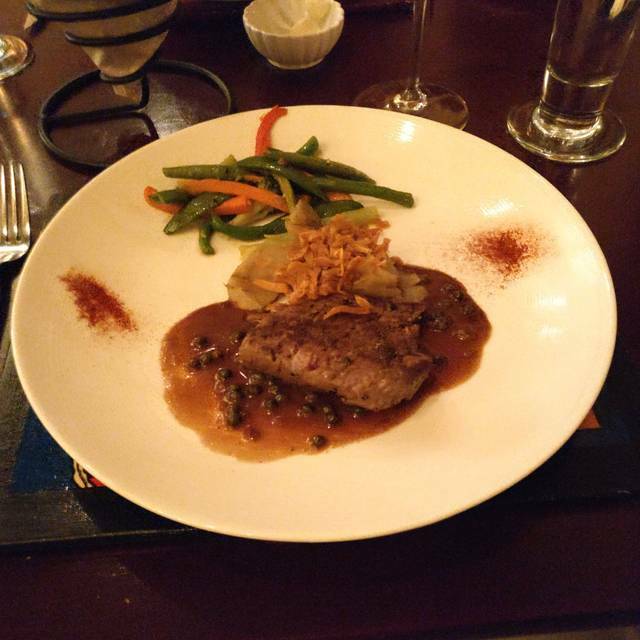 I had the elk medallions with black currant sauce and wild mushroom and roasted corn flan, while my husband had the "wild-wild sampler" with elk, roasted quail and a black bean tamale covered in a wild boar, venison chili. Again, beautiful presentation and terrific flavors. Our waiter was just great, including suggesting a perfect caberfor the meal. It is a pricey spurge that was worth every penny. This is a wonderful restaurant. It is one of the reason we stay at La Paloma. The food is always very good and nicely plated. i is never boring. Vanessa, our waitress was super knowledgeable and a genuine pleasure. So glad that we finally made it to Turquoise Room in the beautiful La Posada Hotel. The dining room was large but amazingly fairly quiet. We could actually have a conversation without shouting. The waitress was very friendly, prompt with the service and helpful in make choices. I had the halibut which I thought was good but not as good as my husband's wild game plate. Really worth the trip. Love that there are vegan options for dinner. Like that there are half bottles of wine available. Exceptional experience! Tried several new things and everything was delicious. 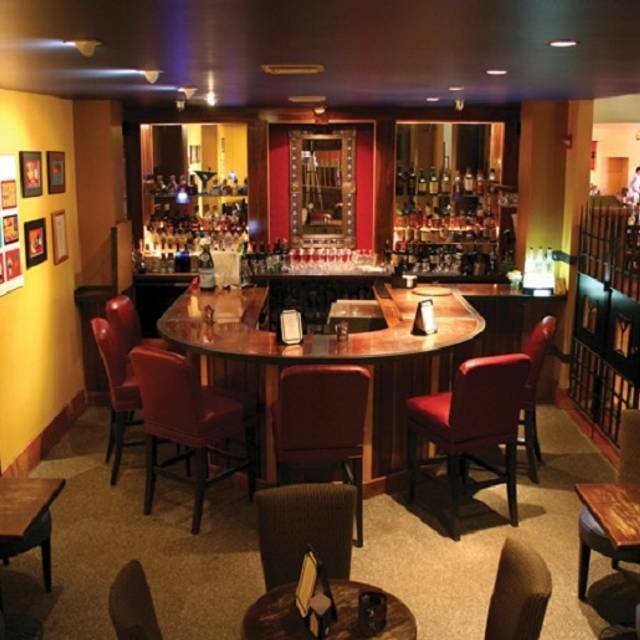 Our server Shayna was excellent, gave us top notch service and several great recommendations. So grateful for this special place. We love to travel around our great state of Arizona. 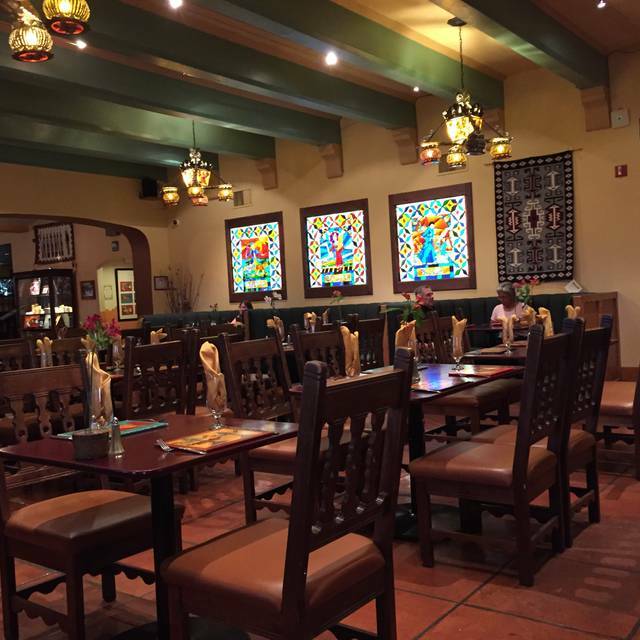 We always try to make our last stop be the La Posada in Winslow before heading home to Tempe. Of course, we always have dinner and breakfast at the Turquoise Room. The food is not your typical restaurant fare. The meals we had were bursting with flavor. The wait staff is delightful and we always leave feeling happy and satisfied. If ever in Winslow AZ this is a must. 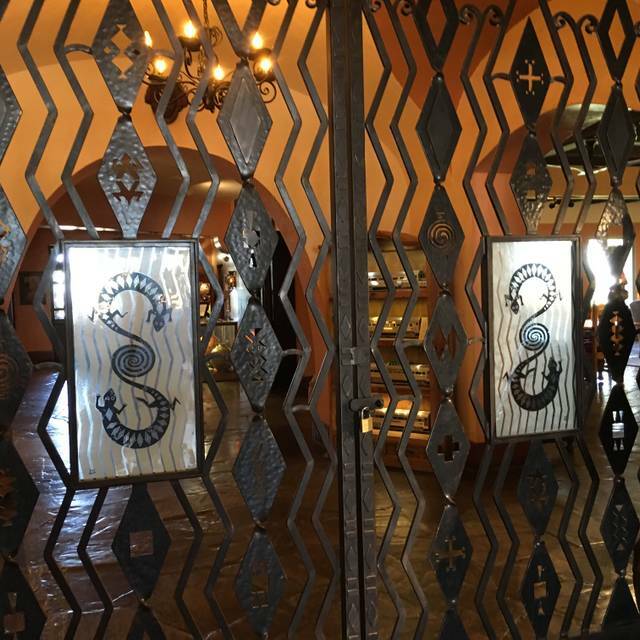 An original Fred Harvey restaurant, Harvey girls ( and men) . Wonderful food, sweet corn tamales can be ordered as an appetizer are so good. Stay at the El Pasado for an even better experience. My husband had delicious buffalo short ribs, and I had the lamb sampler platter. We both chose the recommended wines for our individual dinners, which were outstanding. Our shared bread pudding dessert was wonderful with fresh strawberries and whipped cream. This was our second visit, and chef John Sharpe has only improved upon an already superb menu! Wish we lived closer to take advantage of this great dining experience! Loved the restaurant and had a really nice and engaging server. Forrest our server was beyond excellent, on the spot, local help, loves his job. Chefs dishes were different, great! We had a lovely time, good dinner of ciopino and carnitas, and great service. Thank you Forrest and all who make dinner there so special! Our anniversary dinner. From the moment we were greeted by the maitre d, the evening was special. Our server Vanessa was excellent. Food was exquisite paired with outstanding wines. It was a very enjoyable evening. I would highly recommend The Turquoise Room. We had eaten here two years ago and came back again this year since we enjoyed it so much. Wonderful Food. 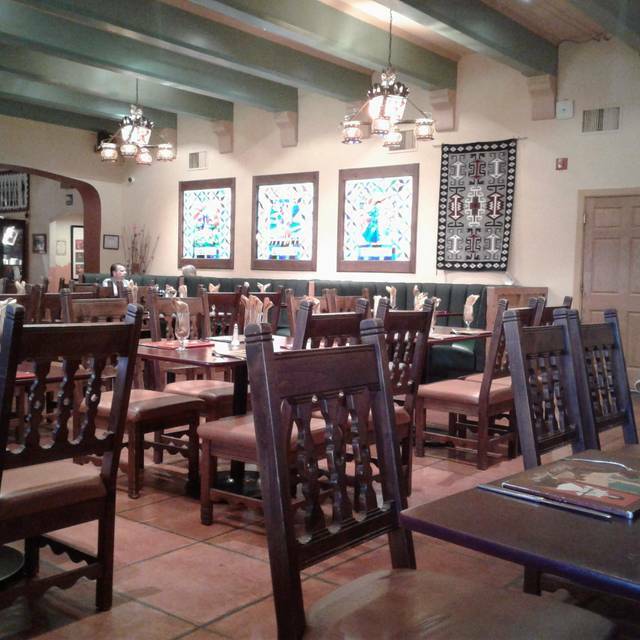 We try to stop at least for a meal at La Posada in Winslow AZ every year. It is really a special place and we admire the effort the owners have put into rehabilitating this lovely spot. Not the least important is the consistently excellent Turquoise Room. It is a reliably delicious meal, often made with local ingredients. This time I had a lamb based pesoli and my husband enjoyed a special French Toast. I have only dined in at the Turquoise Room a handful of times. But I am never disappointed. My favorite part is walking around the hotel and looking at all the different artistry. My parents had their wedding there almost 18 years ago. That is another reason I love going there. I was thinking the other day when we were there, "I hope this place NEVER closes down!" 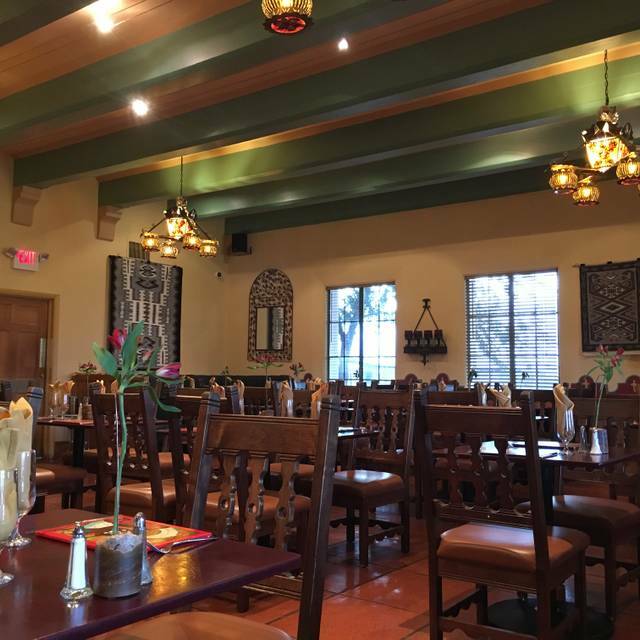 The Turquoise Room offers a fantastic setting paired with great food. My Veggie Platter Southwestern dish was hands-down the best vegetarians meal I have ever had. Stayed at La Posada on our road trip. Very cool hotel - the restaurant was great too! I had the pepper steak and my husband had the prime rib. Both delicious. We also enjoyed their breakfast the next day- Service was great too. Such a gem in the middle of nowhere! We ordered the elk-quail-bison dish and it was not good. The quail was dry and tough, the bison was stringy. The only thing that was tasty was the elk. The red wine that my husband ordered was so bad that we sent it back. The staff was friendly and the service was good, but the food was really not up to the mark. I would rate this as NOT worth it. Wonderful jotel and restaurant. The bison short ribs were excellent as was the chocolate souflee. Highly recommended!! Very very disappointed. Food was mediocre, choices for non-meat eaters minimal. I had heard this was a special place and we went for my birthday, driving 1 hour each way. Let’s say there was nothing special about it, and I could have gotten similar food in a diner in Flagstaff. The food, adult beverages and service was all exceptional. I loved the feel of this place, the decor is amazing. I had the buffalo short ribs and they were delicious, tender and very flavorful. My husband had the elk tenderloins and though he was glad he tried them, as he had never had elk before, he would have preferred a good rib eye. Service was well timed and friendly. It was a fun experience. Our server was absolutely the best, and the food was excellent. It was a fun destination experience. Enjoyed Breakfast at this outstanding landmark. The food was delicious and unusual. Service was excellent and appropriate. A great morning with friends. Our recent visit to The Turquoise Room couldn't have been more pleasing. We had both dinner in the evening and then again breakfast the next morning. We had the short ribs and the elk medallions for dinner. Both were outstanding! Breakfast was a short stack of pancakes and an English muffin with fresh berries. The service was impeccable and the atmosphere charming. Kudos to the entire staff! Ate three meals here (two breakfasts and dinner once). All were excellent. Highlights include orange marmalade crepes, elk medallions, bison short ribs and chocolate soufflé. Definitely worth exiting interstate 40 to eat here even if you’re not staying at La Posada! A wonderful surprise. A unique and enjoyable dining experience. If you are in the Winslow area, highly recommend The Turquoise Room for the food and the ambiance. Dinner and breakfast were both excellent. Loved everything about it! Ambiance, service, watching trains, food, friendliness of waitress and staff, decorations/memorabilia, prompt and thorough response to concern (food not hot enough). We were greeted warmly in their beautiful dining room, delightfully served by ms. Joanie , her recommendations were spot on. The food was absolutely wonderful. I honestly can not remember having a finer meal. Topped it off with a scrumptious fruit pie with heavenly crust. My dining companion and I agreed— in forty years of dining this restaurant was shockingly fantastic! Really creative, interesting food. We got a Wild Platter and a Killer Vegetable Platter, and it was fantastic to get to sample so many different things. Unexpected find in Winslow!